Come and explore Kensington Market, Toronto’s first neighborhood to be declared one of Canada's national historic sites in 2006. Famous for its fresh produce, cheese, meats, bread and desserts, bulk spices, nuts, flowers, marijuana and vintage clothing, the area also teems with a variety of restaurants, cafés and bars. The shops spill out onto the sidewalk, giving the market a vibrant street culture unique to the city of Toronto. Wander the open air multicultural marketplace known for its independent spirit, colorful wall art & steert murals, thriving food scene and eclectic businesses on this three hour food tour. Includes 7 stops: tastings enough for a hearty meal. Venture outside the common ones and discover new cuisines on the tour. Walk away with new culinary perspectives, broad smiles, satisfied taste buds and the confidence to continue exploring the neighborhood by the sidewalk! On our 3-hour guided tour of the Kensington Marketplace we visit unique tasting locations. Each tasting location ensures that you will enjoy fresh and exciting flavors. The food samples included are enough for a hearty and satisfying lunch. We sample a variety of foods from a Mexican Torta which shall transcend you back to the streets of Mexico to a Jamaican dumpling which will play with your taste buds. German street food with a twist paired with freshly brewed beers from a local brewery will leave you craving for more. Nothing can be more satisfying than a handmade fruit pie to end your meal. We will also be visiting one of a kind, local special food stores which include a cheese shop and a bakery. Vendor demonstrations, owner interactions, specialty tastings and a brief education on what makes them special will be integral to these experiences. You will leave with great insights and better appreciation for these artisans. Food stops and tastings subject to change. Between tastings, you’ll experience the life as a local as you stroll through the historic streets of Kensington Market. Our knowledgeable and enthusiastic guides illuminate stories of historic significance of landmarks, best kept secrets in the area and personal anecdotes about how the area became an intriguing neighborhood it is today! They will also provide you with a lot of recommendations for activities you would love to do after the tour. It will be the most interesting stroll you would have taken in a while! 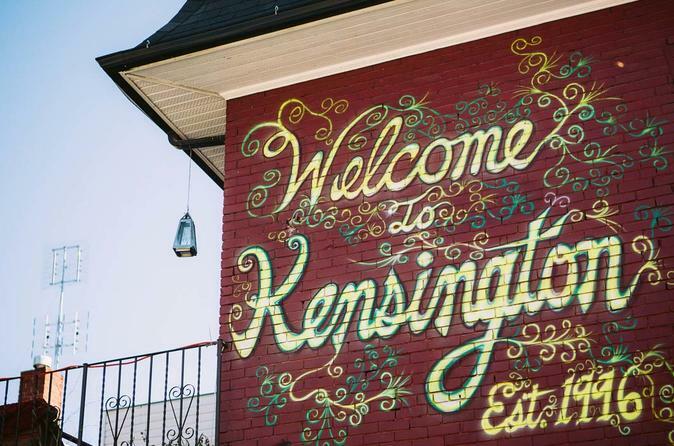 Our Kensington Market By The Sidewalk tour is perfect for Toronto natives and tourists alike. This tour is for folks looking to get an insider’s view of the area and are ready to explore the foodie hidden inside them by expanding their taste pallets. All you need is the wish to discover…leave the planning to us! So much to experience, so little time to soak it in. The Kensington Market By The Sidewalk tour gives you exactly what you need. It gives you a glimpse of the area in a 3-hour interactive stroll.